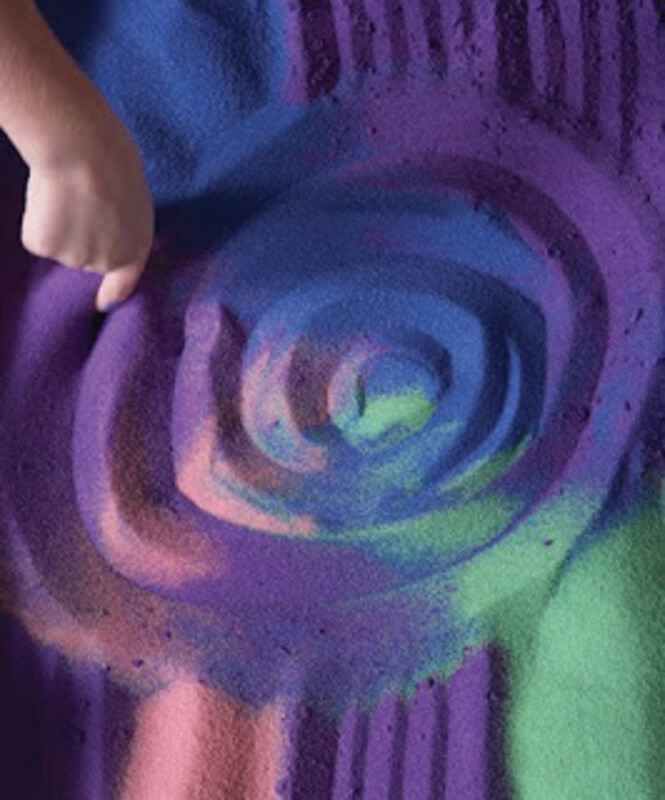 Crayola Play Sand: Hit or Miss? Crayola sent me some colorful new play sand to test out. We brought it along to the beach. Our tester size sand kit included four colors. The sand was fine--but the four colors soon became a mish-mash of one color. A little frustrating for my 4 y.o. tester. I think these are nice toys in small doses when mixed with regular old glorious sand. For me the best part of sand is the feel and the movement. I won&apos;t want to ruin that fun by making the experience too pristine or fussy. What do you think of this trend? The PR rep didn&apos;t send along pricing, and I&apos;m not sure when this will hit stores. The sand is $6.99 and its available at WalMart stores.